You guys! I can’t believe it, it is actually starting to feel like spring around here. We’ve had beautiful weather the past few days, sun shining and playing outside. Which means I’m finally getting motivated to really dive into spring decor and freshen things up. 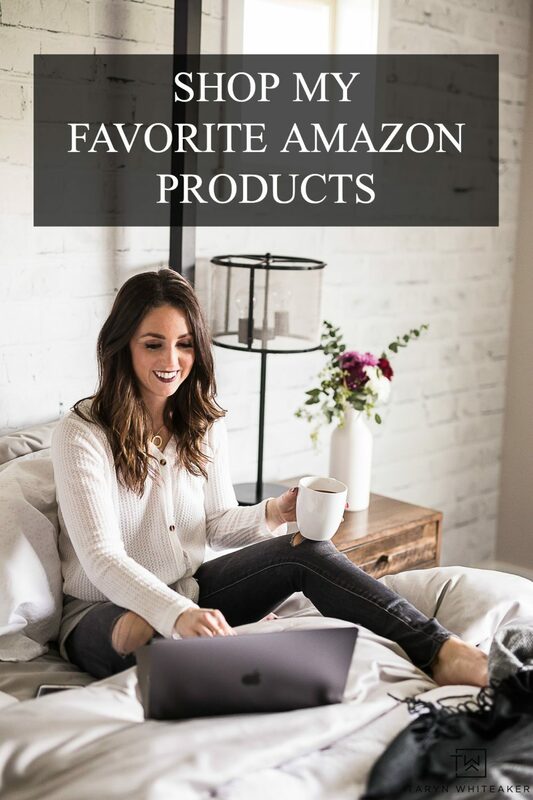 Today, I’m partnering with several other bloggers to share a collection of easy spring craft ideas. Keep scrolling through the post to see all of them! 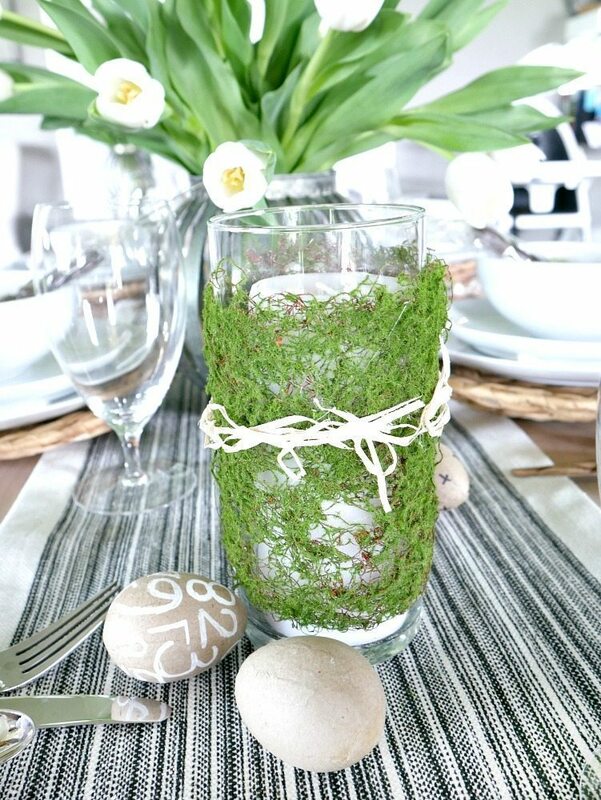 But first, I’m sharing these easy Moss Wrapped Candles that would be a perfect addition to your Easter tablescape or on a vignette! This is one of those 5 minute crafts that anyone can do and is an easy way to add a little touch of spring around the house. Start by wrapping the vase in the ribbon and then adding a line of hot glue at the edge. 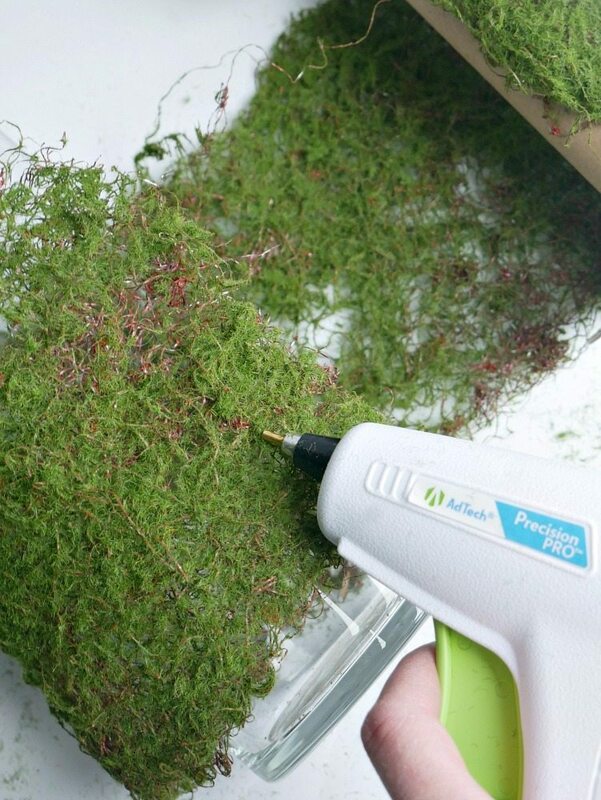 Press the moss together until the hot glue dries. PS. I just upgraded to this new Hot Glue Gun and I LOVE it. It’s only $10 and I see a huge difference, I’ve been using Gorilla Glue Sticks with it to really secure my projects together and that small tip helps keep the mess down. Just wanted to share my fun new find with you! 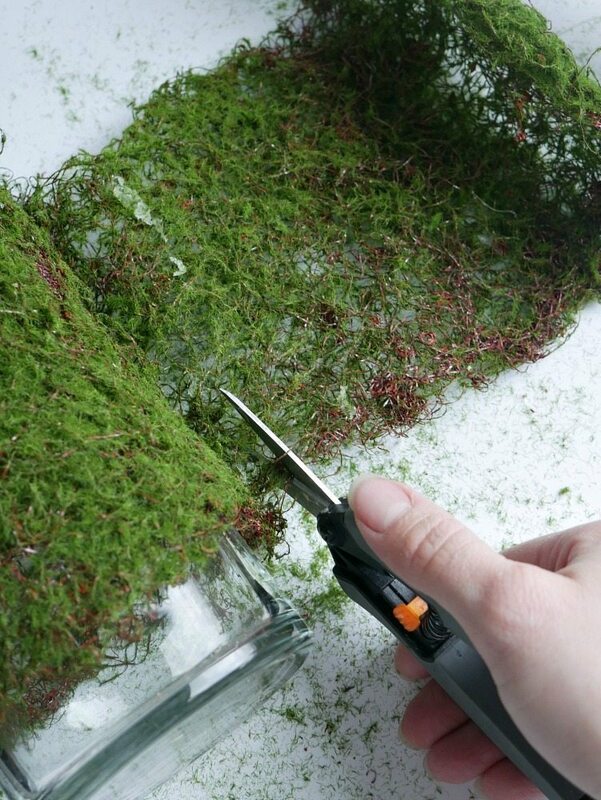 Trim the excess moss. You’ll need sharp scissors to cut through the small wires in it. Add a little raffia to complete the spring look! All ready for your table! 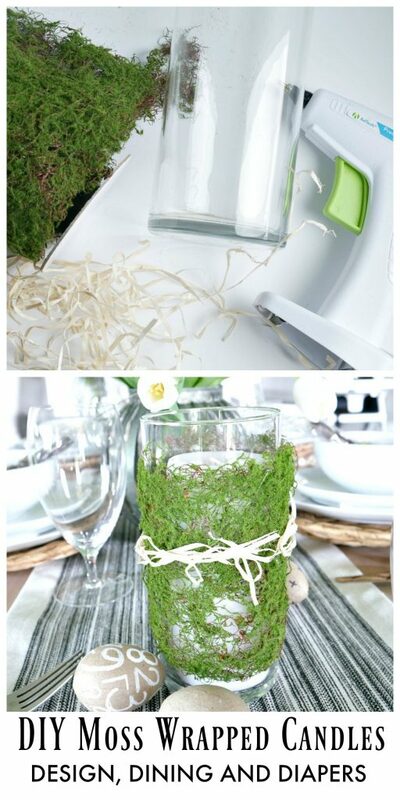 Now, don’t miss out on all of the beautiful spring decor ideas below…. Taryn I love the beautiful simplicity of this!!! 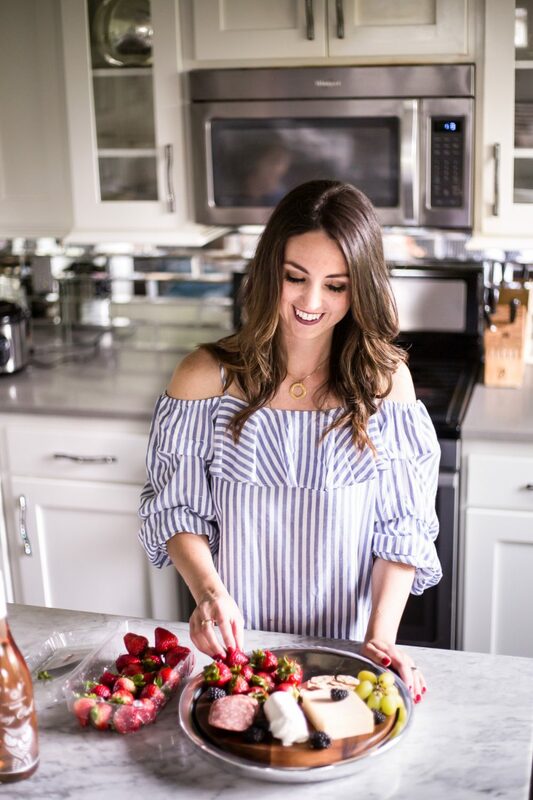 Such a great project and perfect for the season… xo! I love this, Taryn! 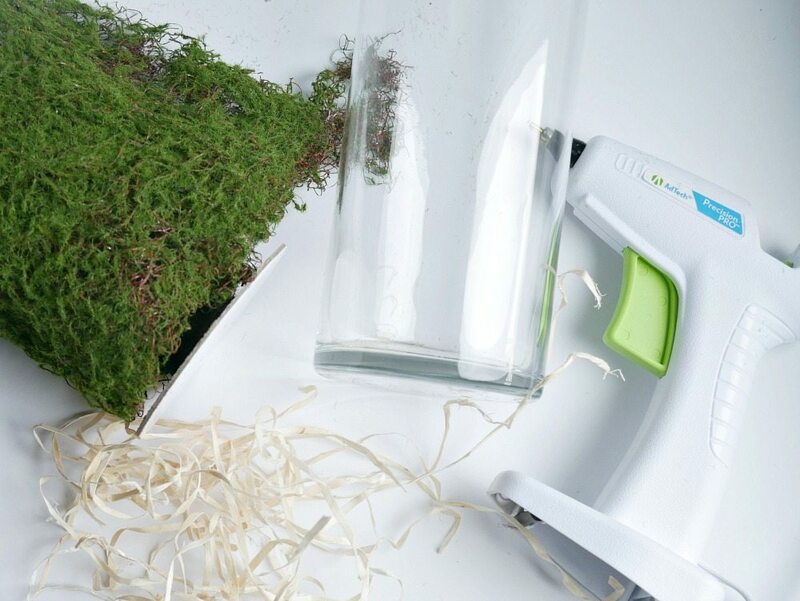 Using moss is a perfect idea.